Contemporary Landscape Paintings. 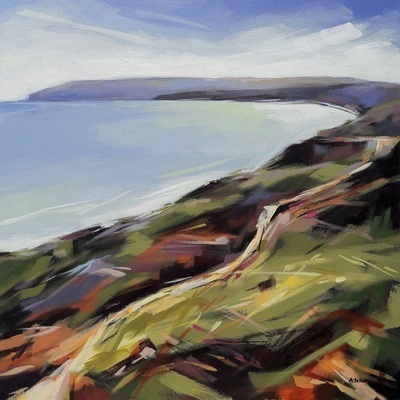 My work explores the ever-changing light and colour of the Island's coastline and landscape. I grew up and live on the Isle of Wight. It is a beautiful place where I feel a deep connection. Through my work I attempt to explore this relationship and my sense of belonging to my environment. My work is inspired by the landscape which surrounds me, the changing light and extremes of colour and how it’s mood and atmosphere influence both my emotional and physical well-being. I walk daily and document my journey through a series of captured moments that have particularly inspired me along the way. 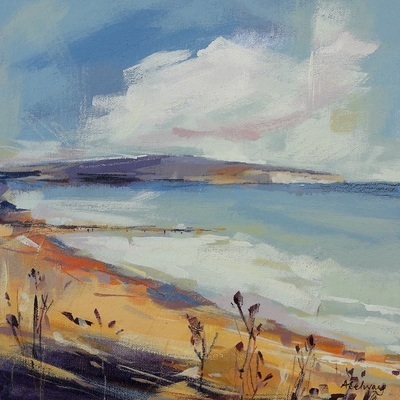 Living on a small Island I naturally often repeat my walks; therefore, the paintings serve as a record how our environment is changing and encourage an appreciation of the beauty of our landscape.